New Tech's box kite, like all box kites, are high performance flyers made to soar high in the sky! 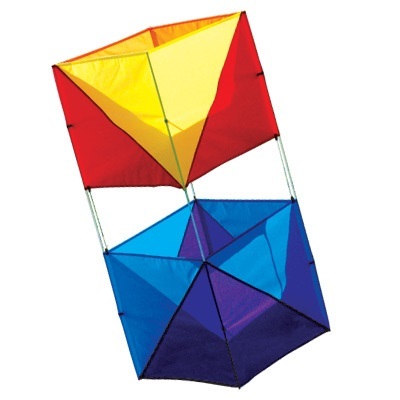 Quick to assemble and easy to fly, this multi-colored ripstop nylon beauty looks great and performs like a champ. Ready to fly with handle and line included.